We're here to bring your big & bold custom sock ideas to life. With over 5000 designs manufactured & 100 major brands served since 2010, EVERSOX is a trusted supplier to businesses, retailers, & distributors. Utilizing a large selection of knitting machinery and materials, we build quality custom socks for virtually any application. No matter the need, your socks are always designed by an expert and delivered in 3-5 weeks. We pride ourselves on quick service, exceptional design ability, and efficient delivery. Contact us today to get started on your custom socks. Our experience, capabilities, and clients, at a glace. We work with small businesses, global brands, colleges, promotional products distributors, and charities. With over 5000 custom knitted designs under our belt, our experience with custom socks speaks for itself. Access to 100+ knitting machines ranging from 84 to 200 needles in single and double cylinder formats. 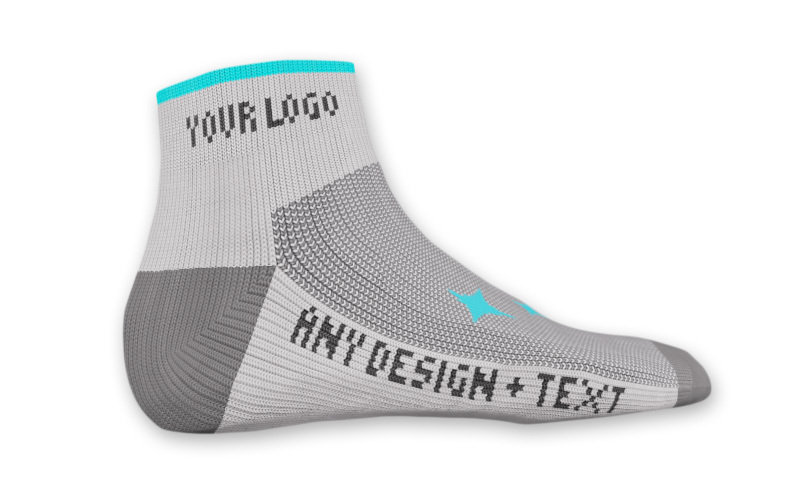 From design approval to delivery, we'll have your custom socks delivered to your doorstep within 3-5 weeks. Look no further—we've got everything you're looking for. Taking small steps for the betterment of our communities and environment makes a big difference. Our office operations are carbon neutral through the use of carbon offset credits. Donations of socks to local homeless shelters helps those in need. We support health, environmental, and social charities through donations. Monitoring the efficiency of operations helps reduce material and energy waste. © 2010-2019 EVERSOX Inc. All rights reserved.